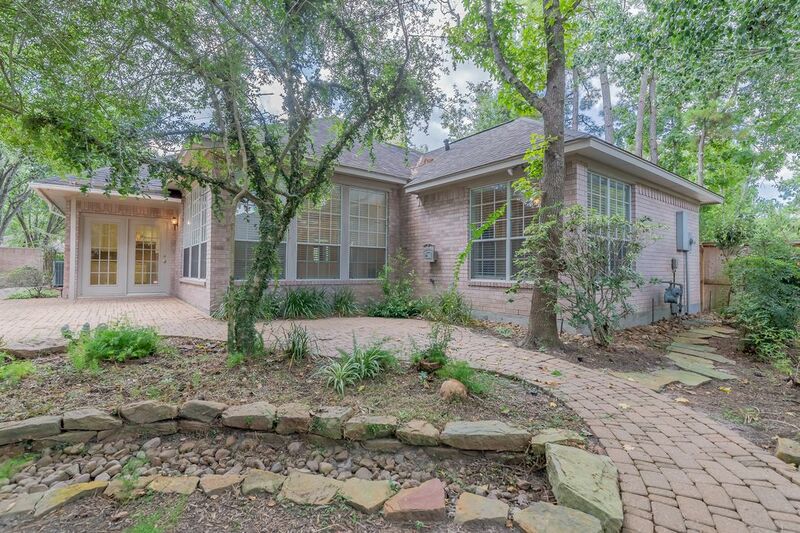 38 East Honey Grove Place, The Woodlands, TX 77382 | Martha Turner Sotheby's International Realty, Inc.
Beautiful one story patio home located in Alden Bridge of The Woodlands. 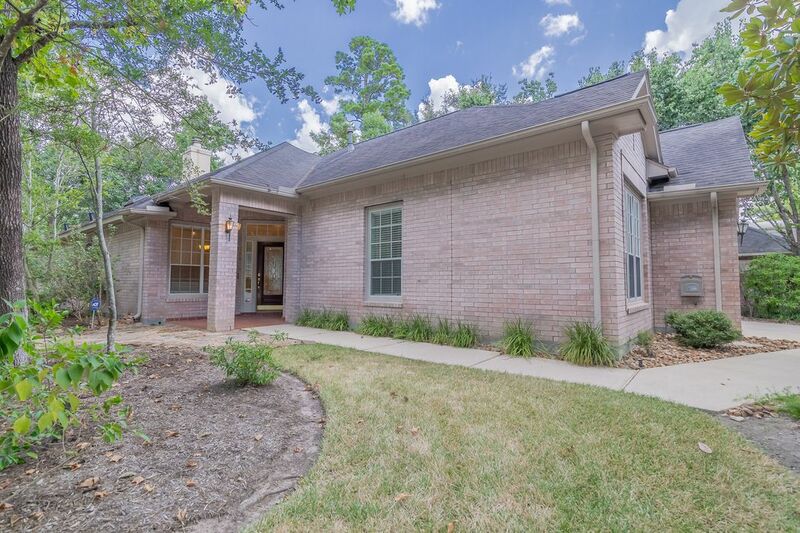 Wonderful corner lot with mature green landscaping. 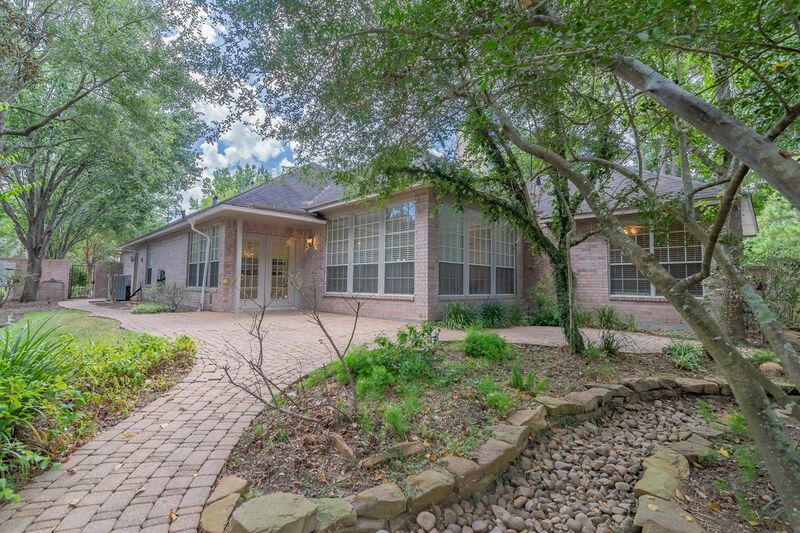 Fully bricked home on all four sides. 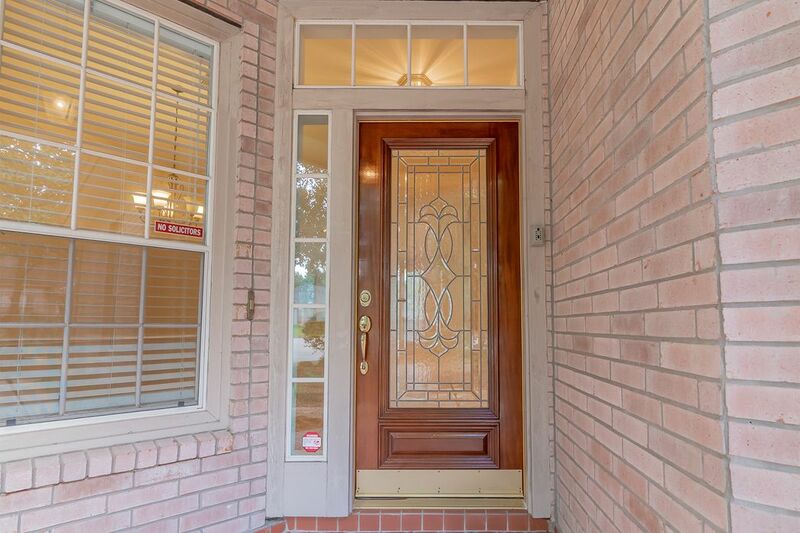 Inviting front entry way to the home and surrounded by windows. 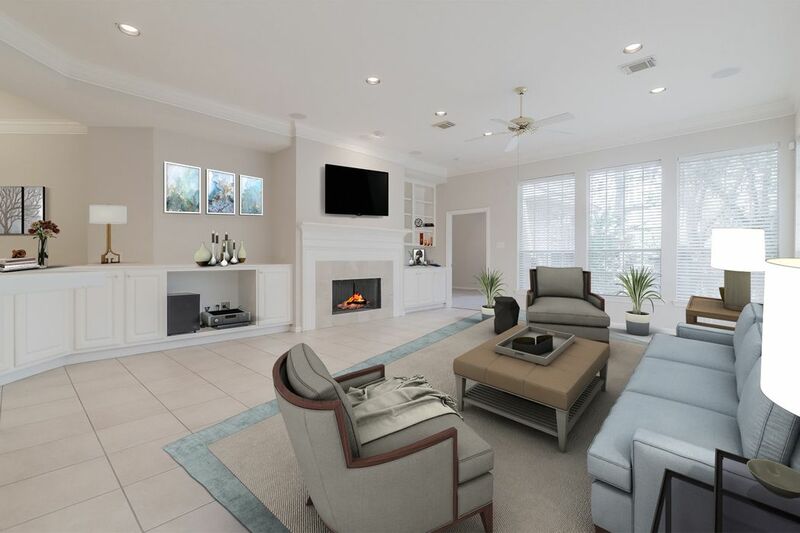 The home opens up to a fabulous floor plan. 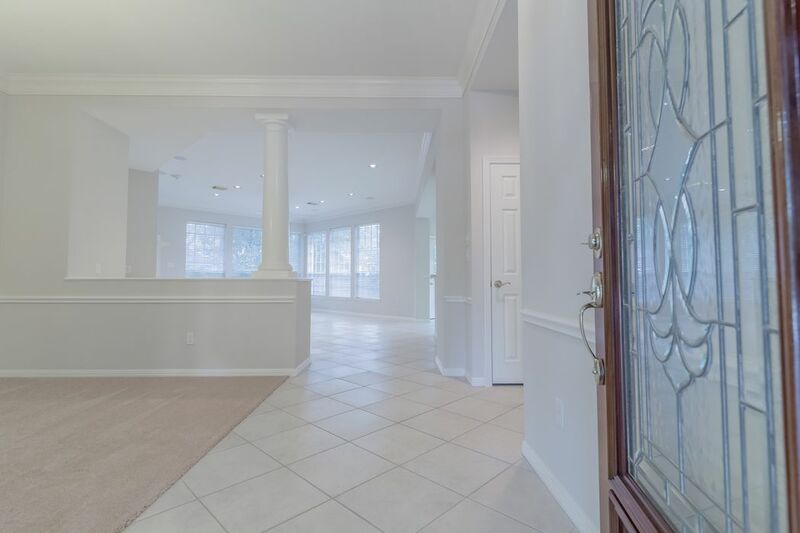 Large formal dining room is set off to the side of the main entrance to the house. 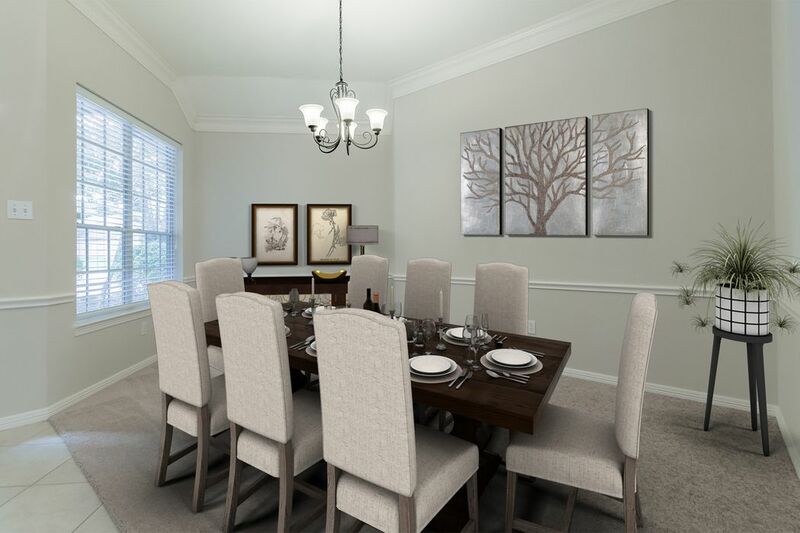 Formal dining room is open and spacious. 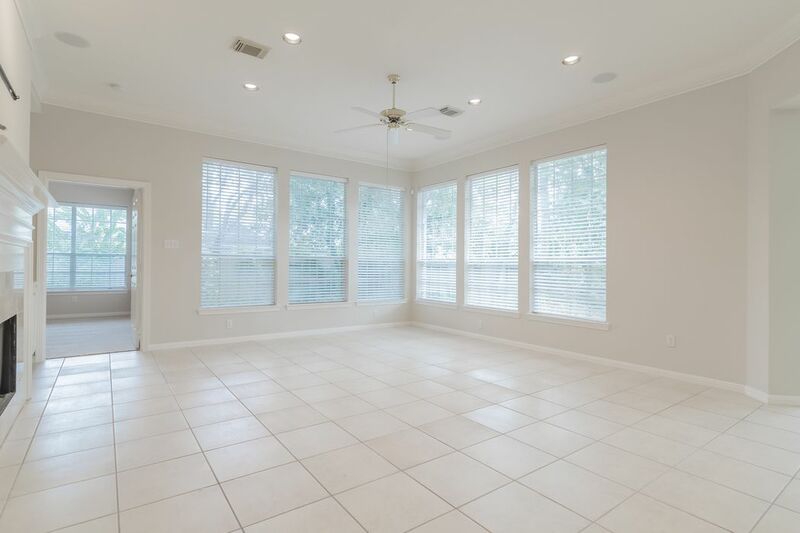 Lovely breakfast room surrounded by walls of windows and off of a spacious kitchen. 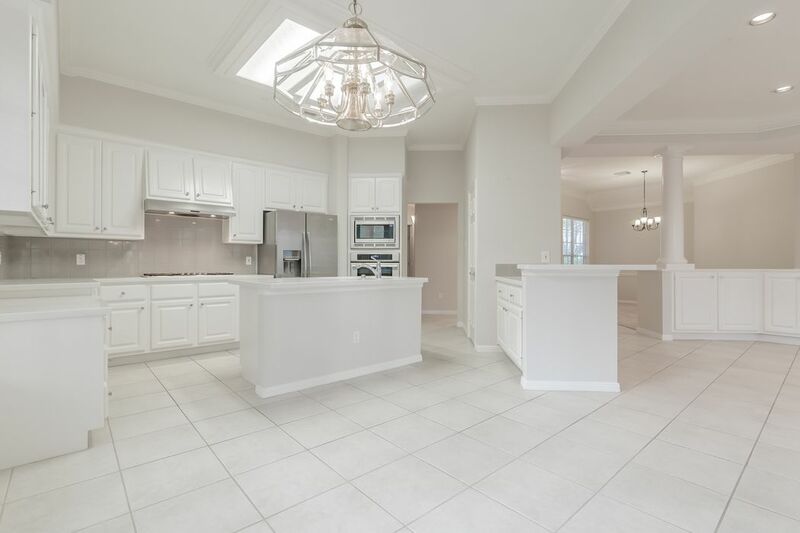 Open island kitchen with lots of cabinet space. 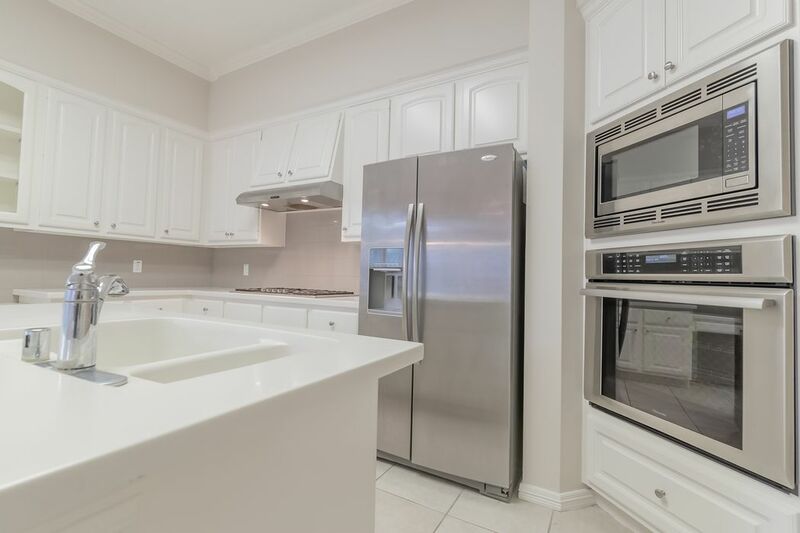 Wonderful kitchen comes with a full set of stainless steel appliance package. 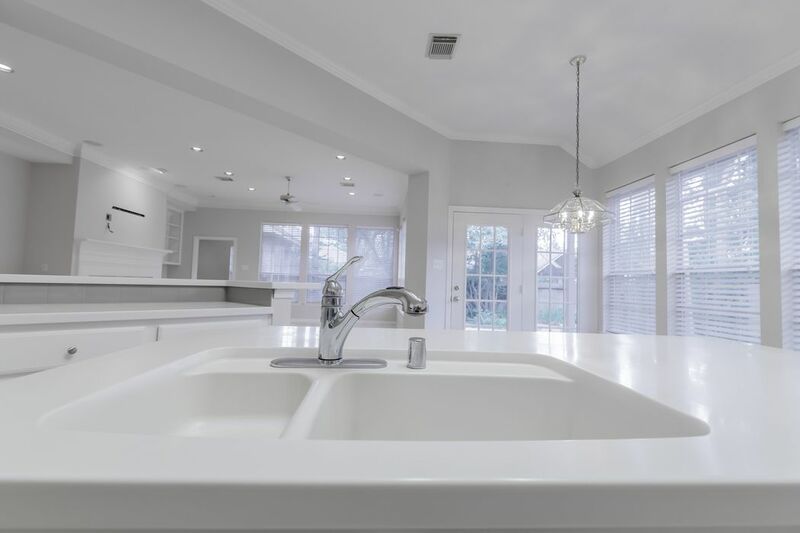 White corian counter tops and full view of the family room from the island in the kitchen. 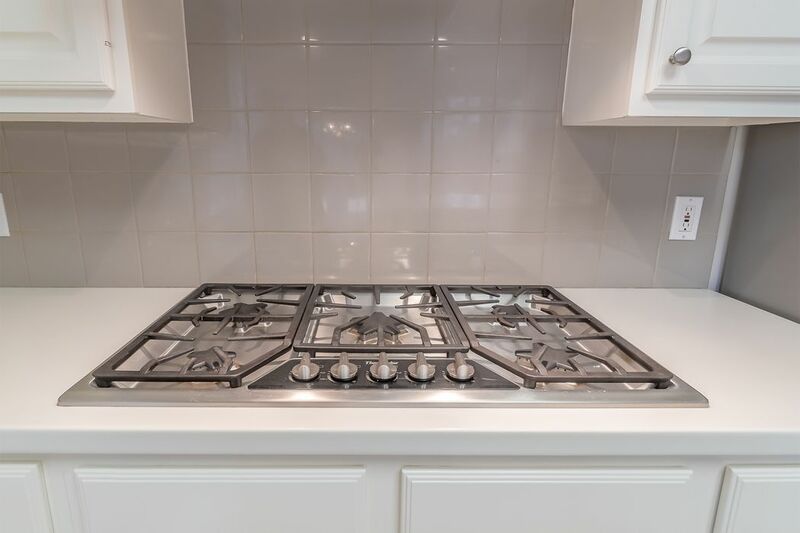 The chef of the home will love the five burner gas cook top. 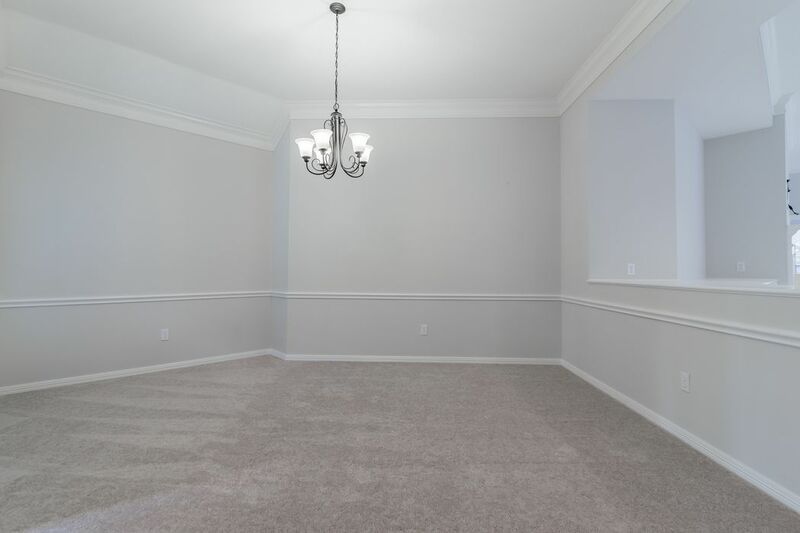 Crown molding is also found in the kitchen area. 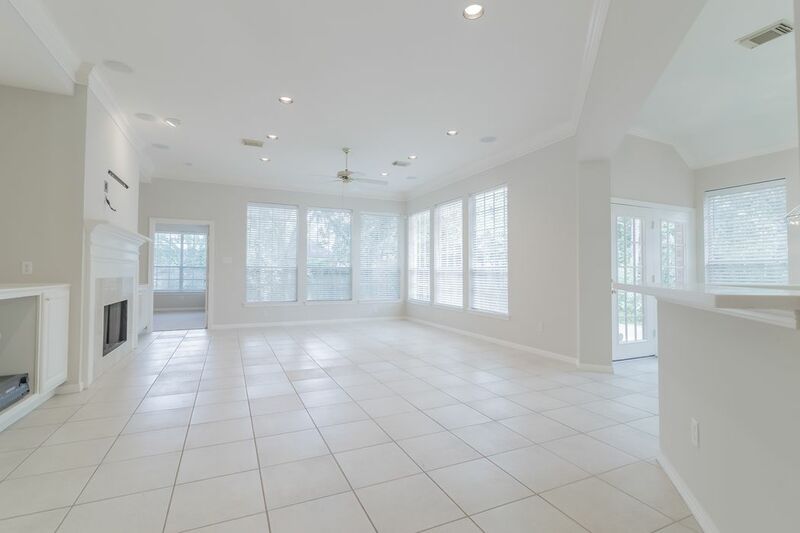 Another view of the beautiful breakfast room with glass french doors. 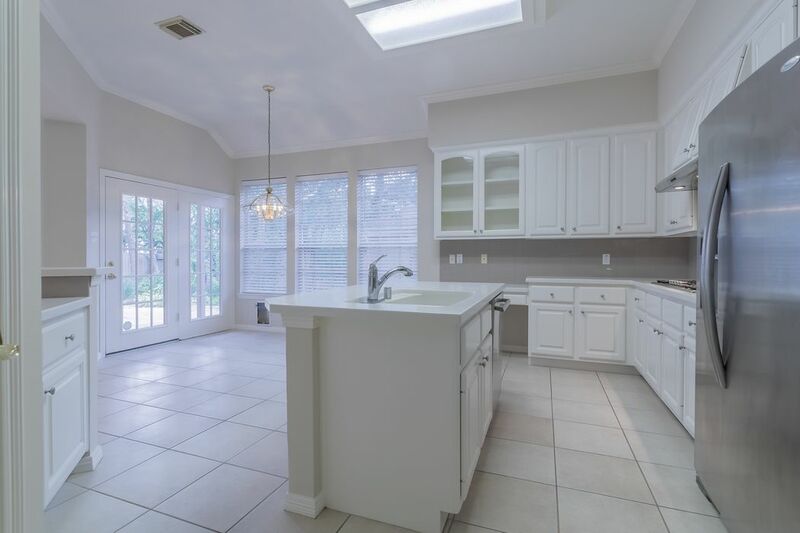 Extra storage or small bar area set to the side of the breakfast area. 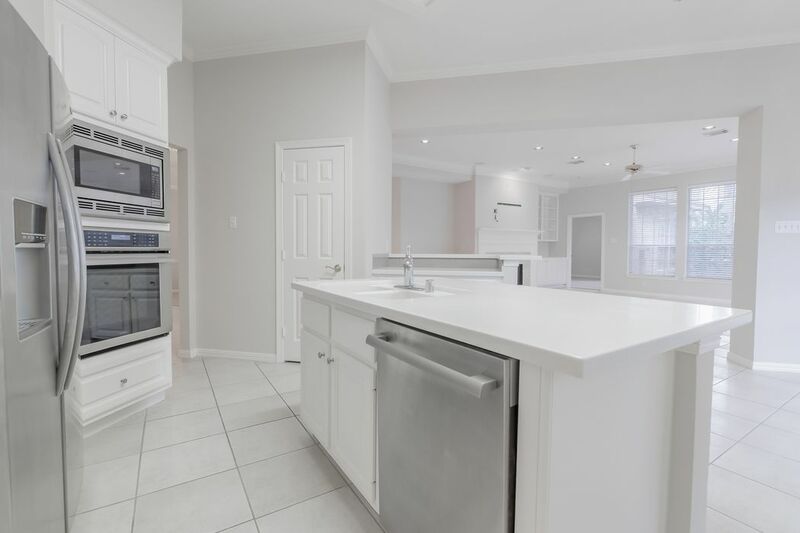 Light and bright kitchen with lovely white cabinet along with a set of decorative glass cabinet. 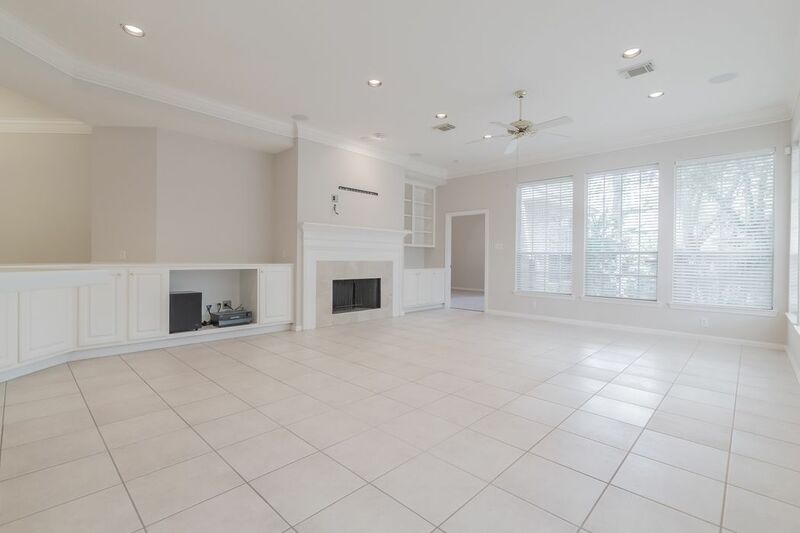 Huge family room with entertainment built-ins and crown molding. 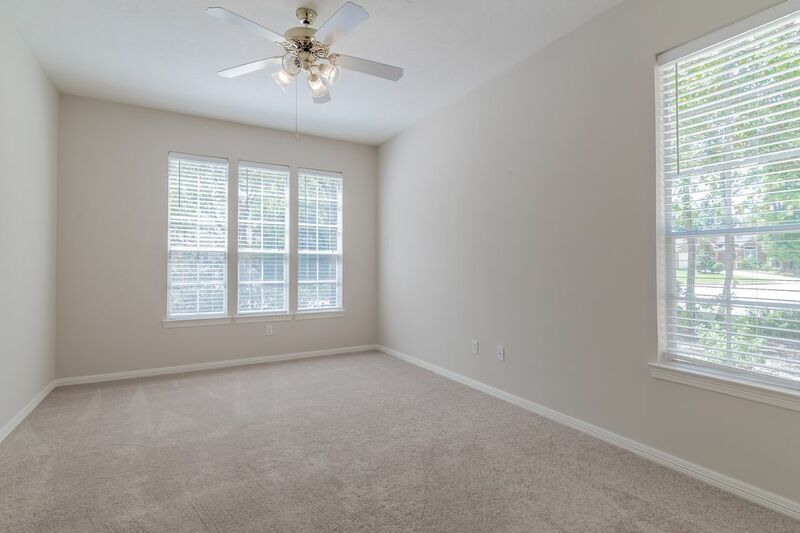 Fabulous and spacious family room lined with walls of windows. 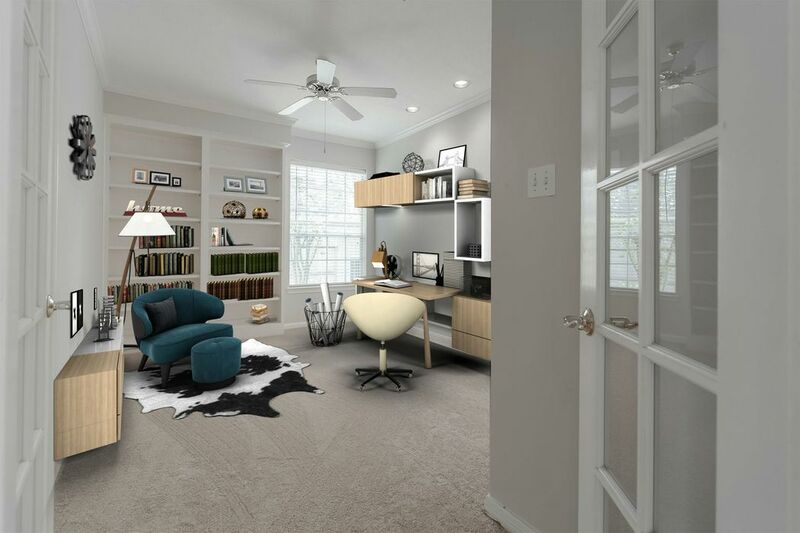 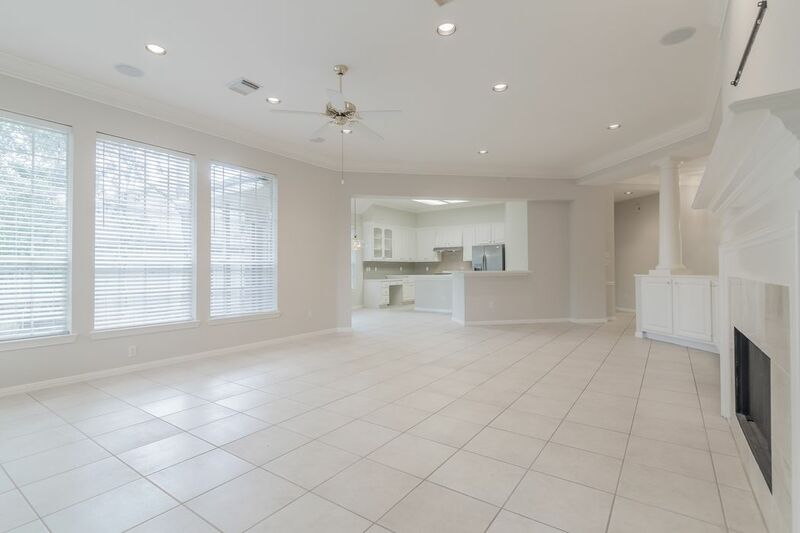 Fantastic open floor plan with tile flooring in the main living areas. 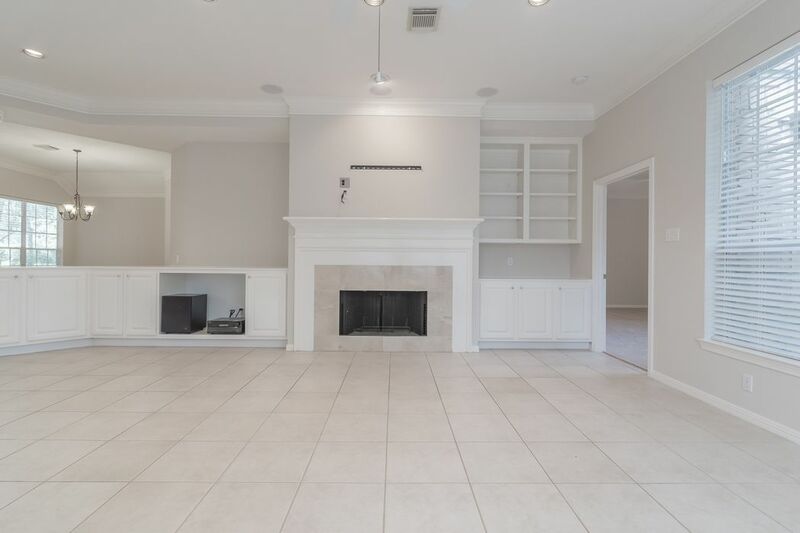 Wonderful fire place and mantel with decorative built-ins on both sides. 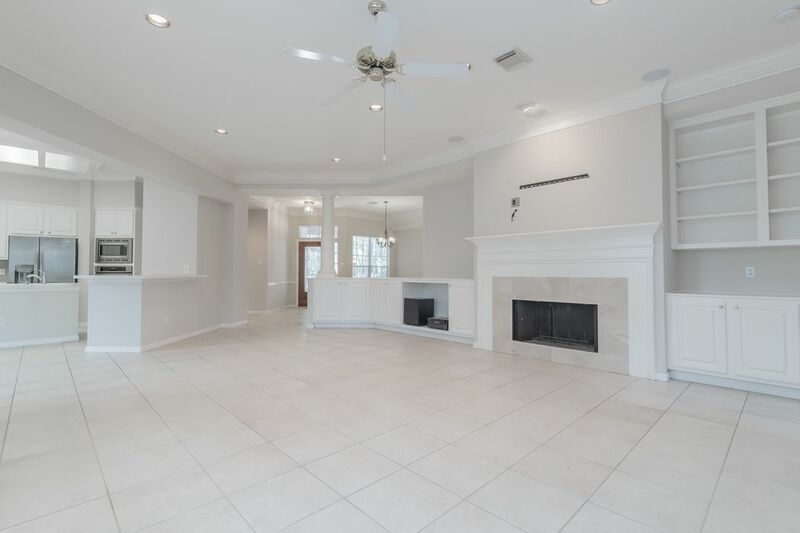 Another view of the main family/living area that is located off the kitchen. 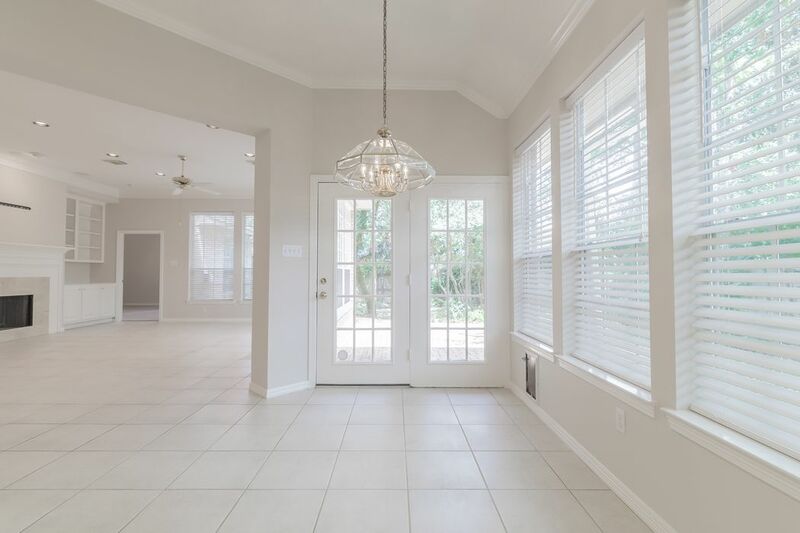 The home is light and bright with a neutral color pallete. 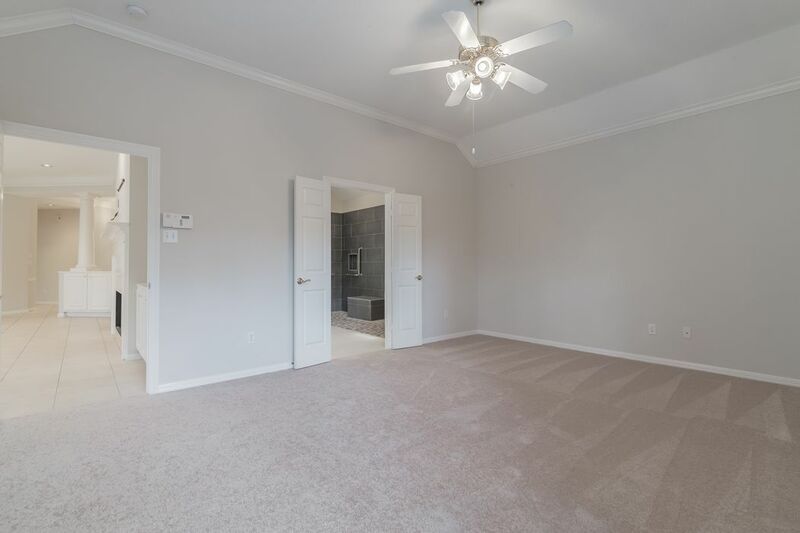 Raised ceilings with crown molding in this large master suite. 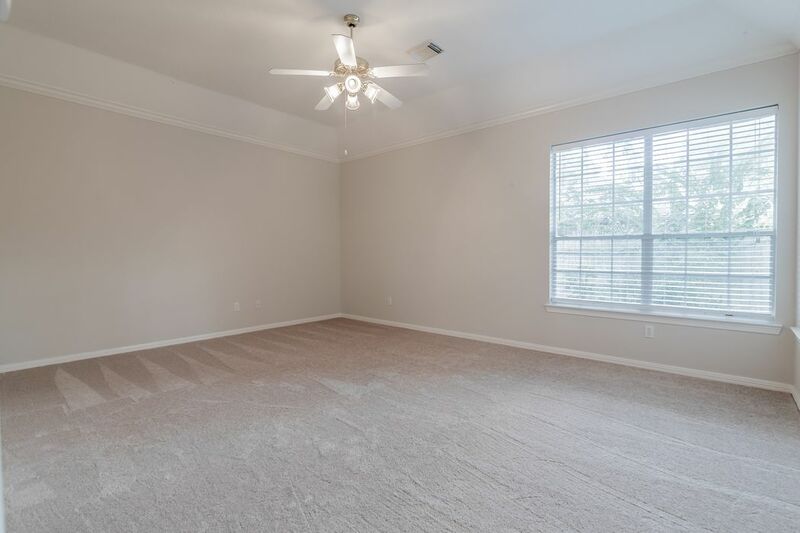 Another view of the master bedroom with new carpet. 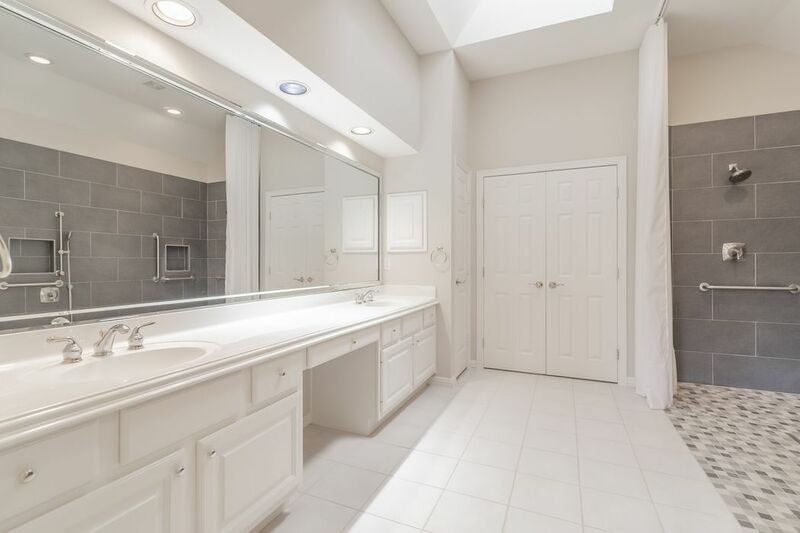 Massive master bathroom with a very long vanity that contains two sinks and a dressing area. 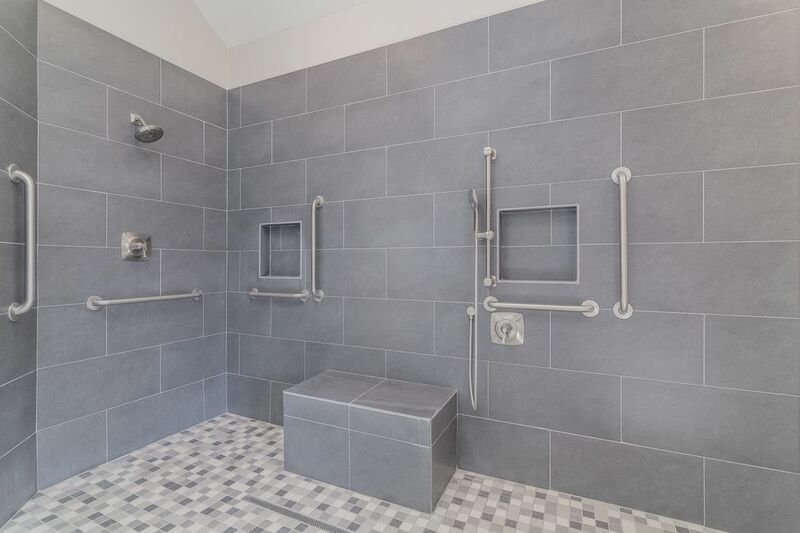 Special designed master shower with wheelchair access. 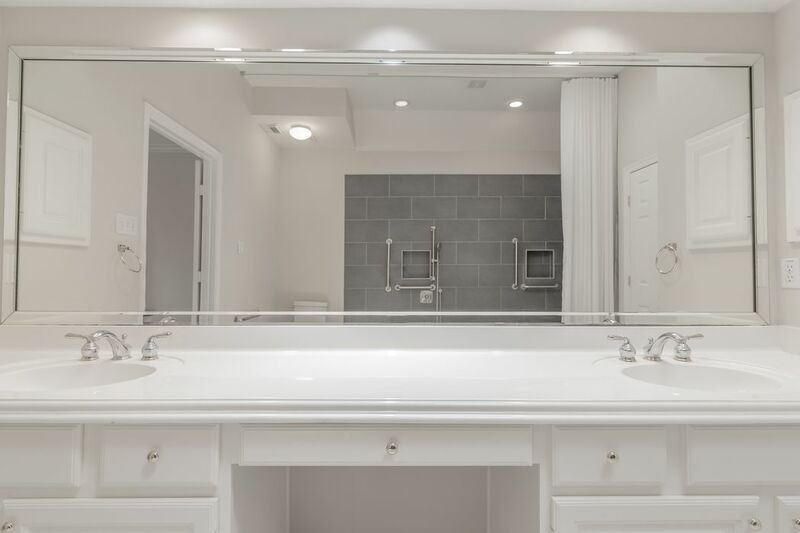 Freshly painted with cabinets in the master batch with a huge mirror. 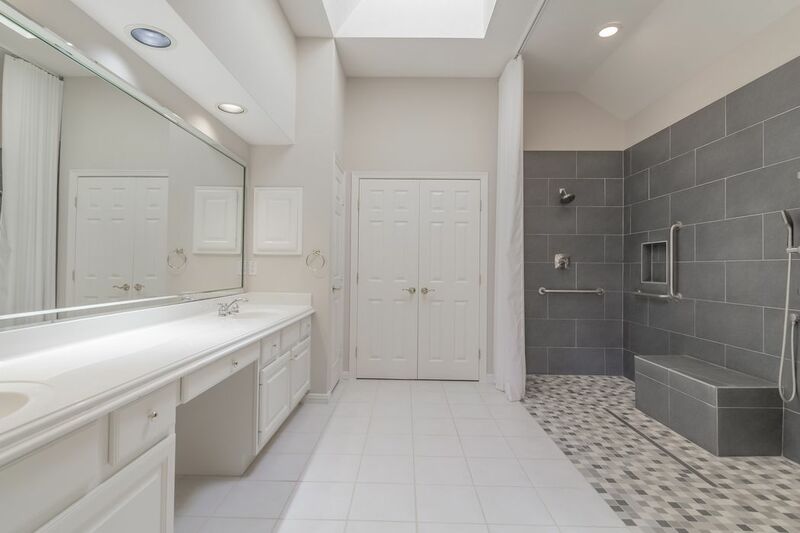 Shower walls of tile with double faucets. 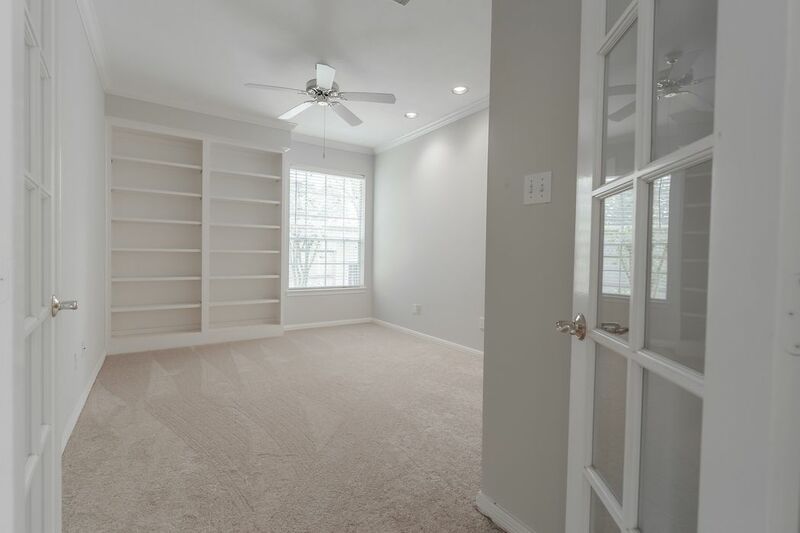 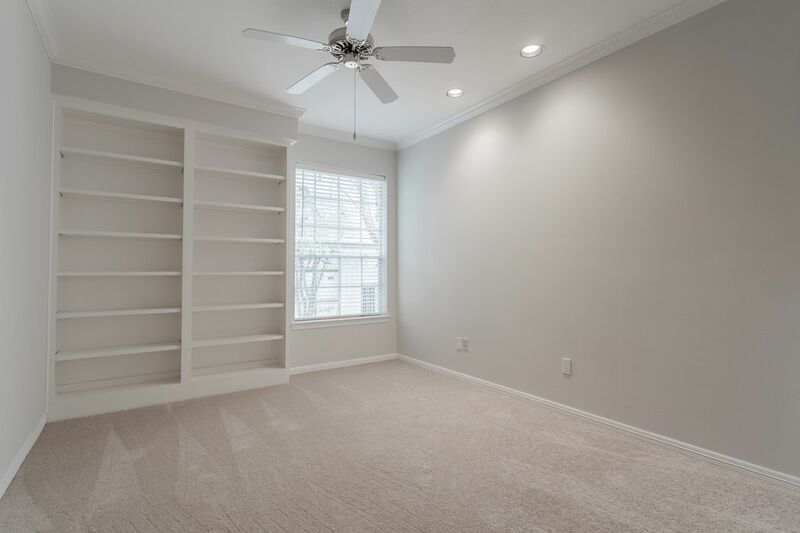 Wall of built-in shelves in the study with crown molding. 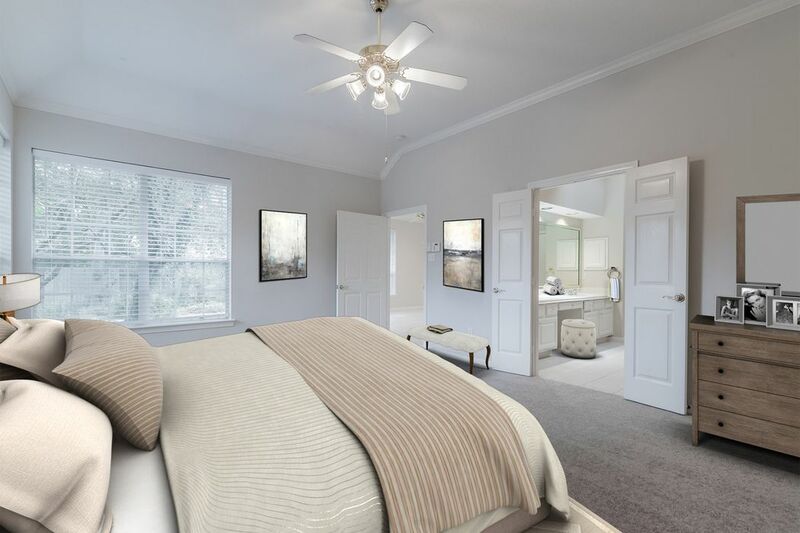 Even the guest bedroom if bright with two set of windows. 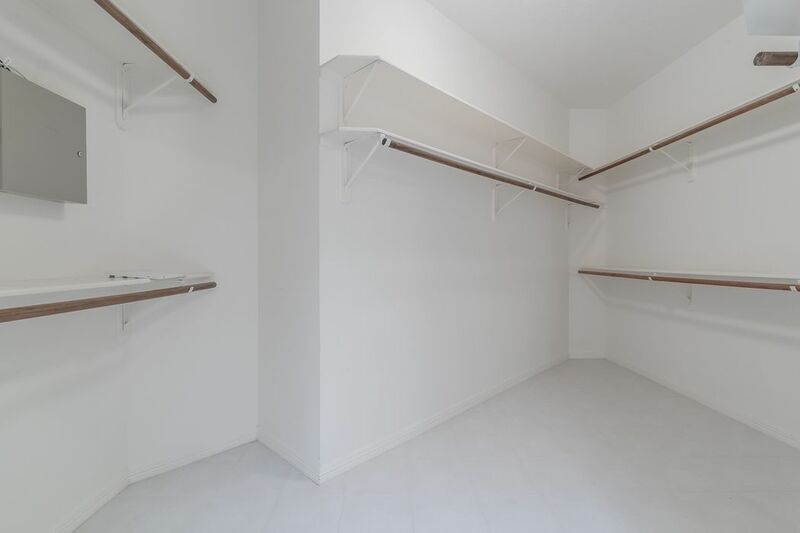 Spacious laundry room with extra storage. 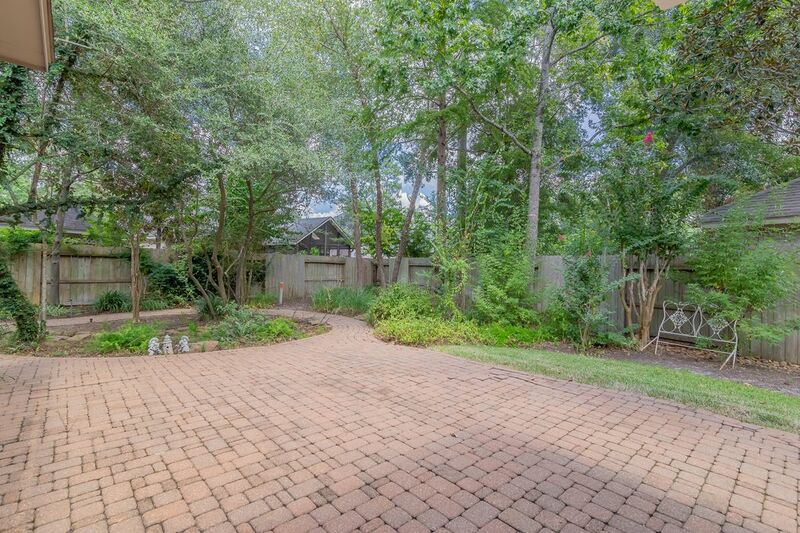 Fabulous backyard with pavers to include a patio area was walking paths. 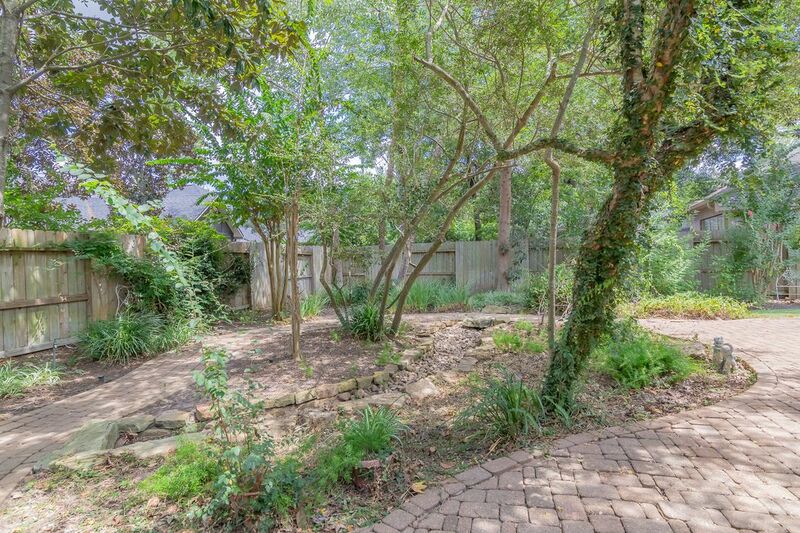 Lush green gardens with accents of stones and rocks. 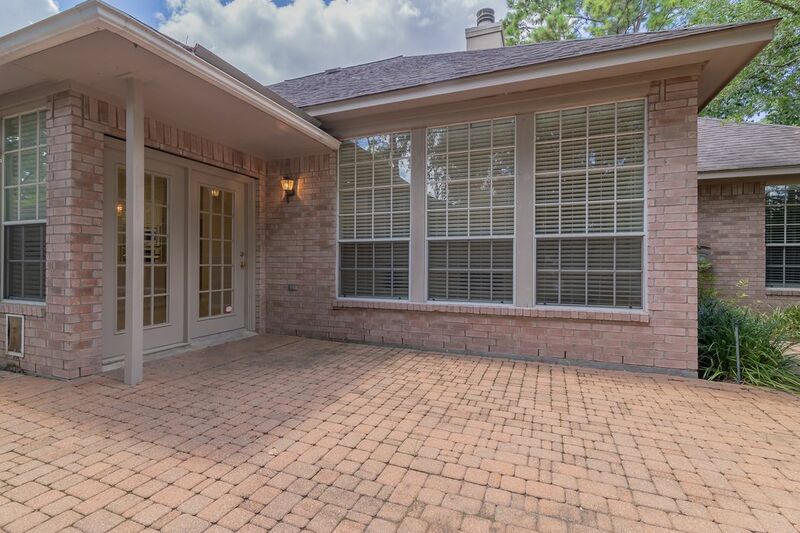 A view of the patio area. 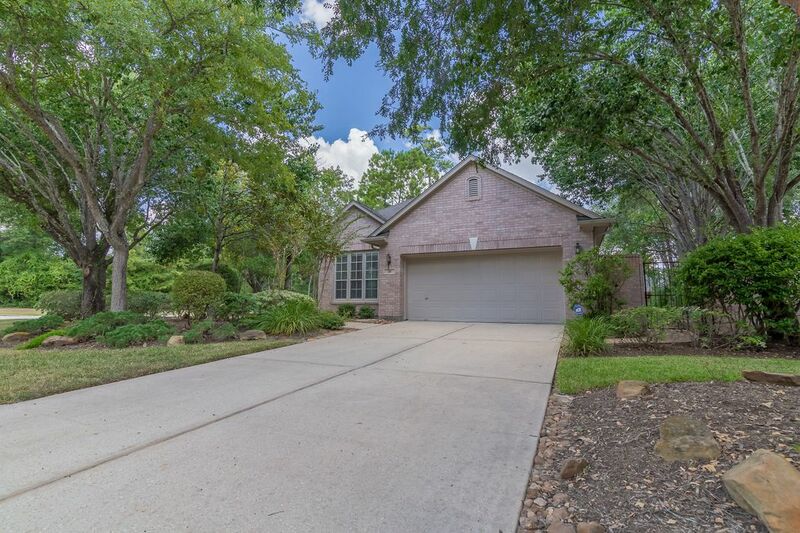 A very private oasis that has plenty of room for a pool and easy access from the side yard. 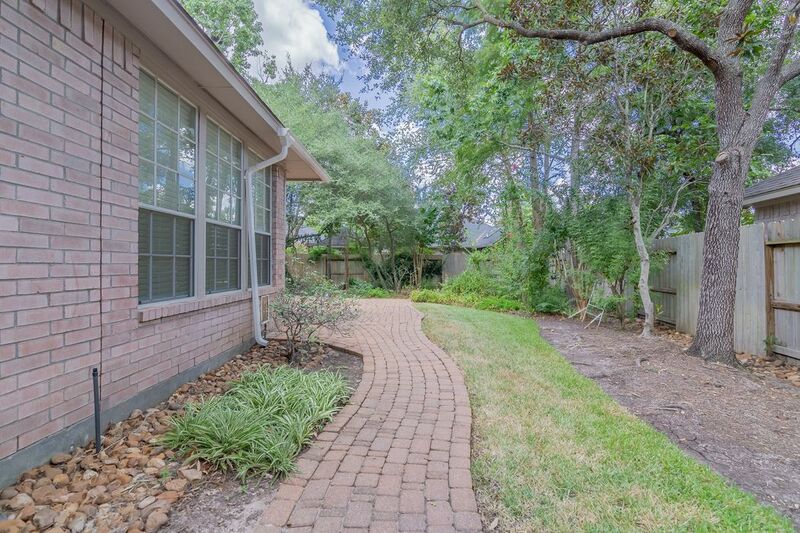 Side yard with paver walking patch. 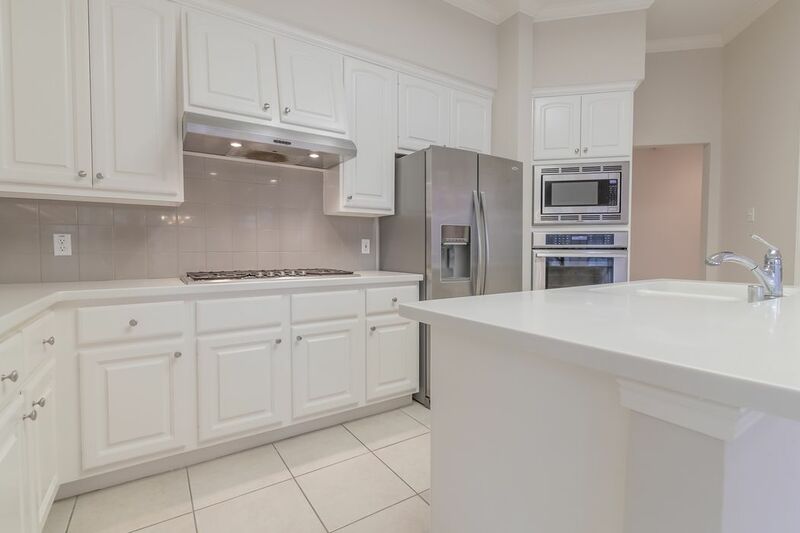 $290,000 2 Bedrooms2 Full Baths2,201 sq. 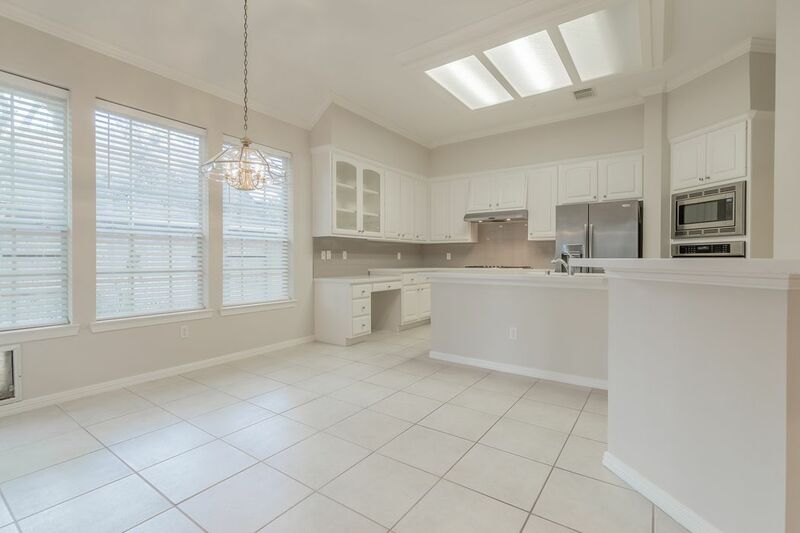 ft.
Great 2-3 bedroom patio home on a corner lot in Village of Alden Bridge. 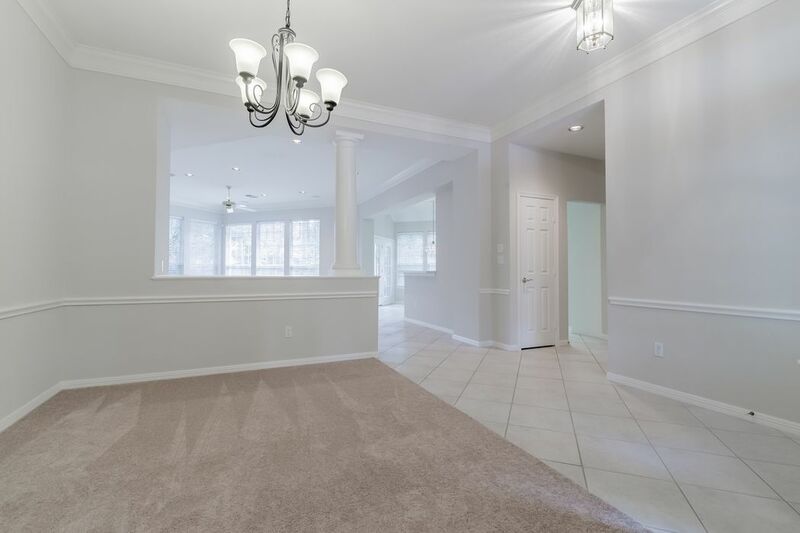 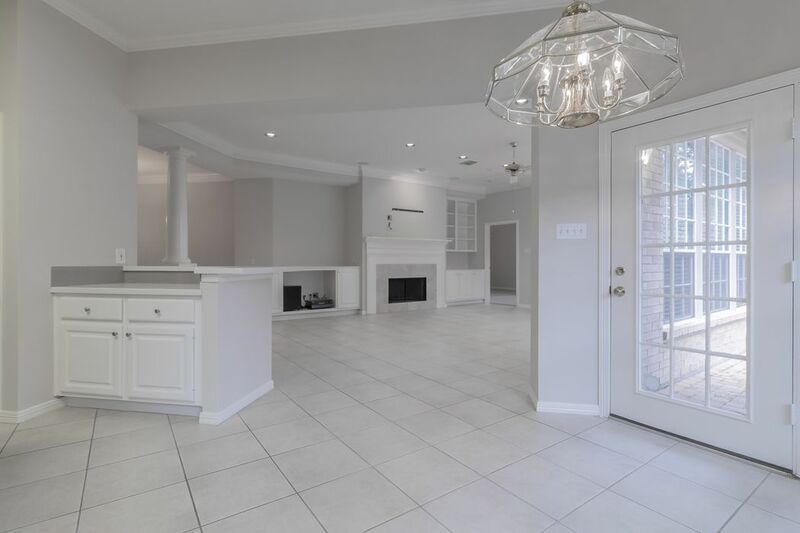 Lovely open concept, fresh paint and new carpet. 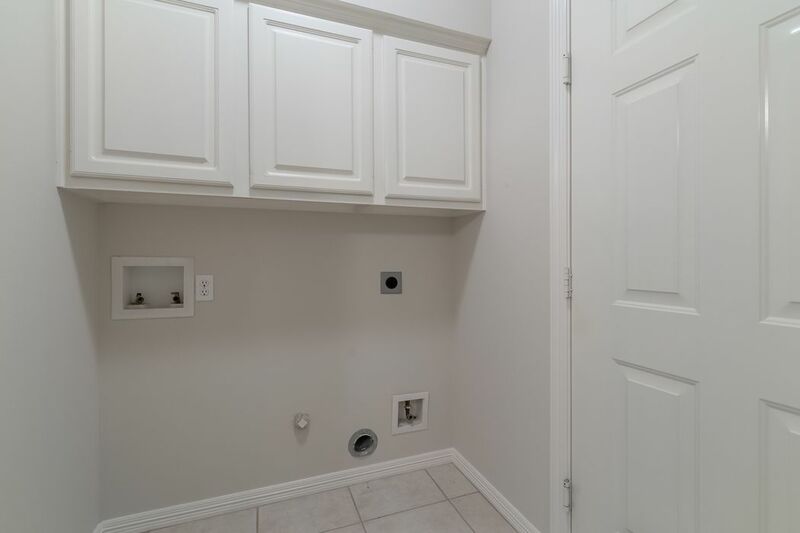 This home is equipped for wheelchair accessibility. 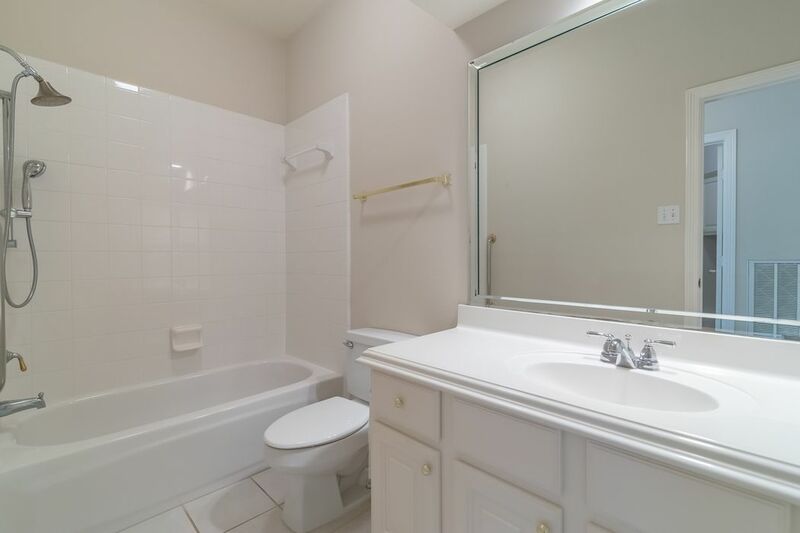 The master bath hosts a wheelchair accessible shower with 3 doors. 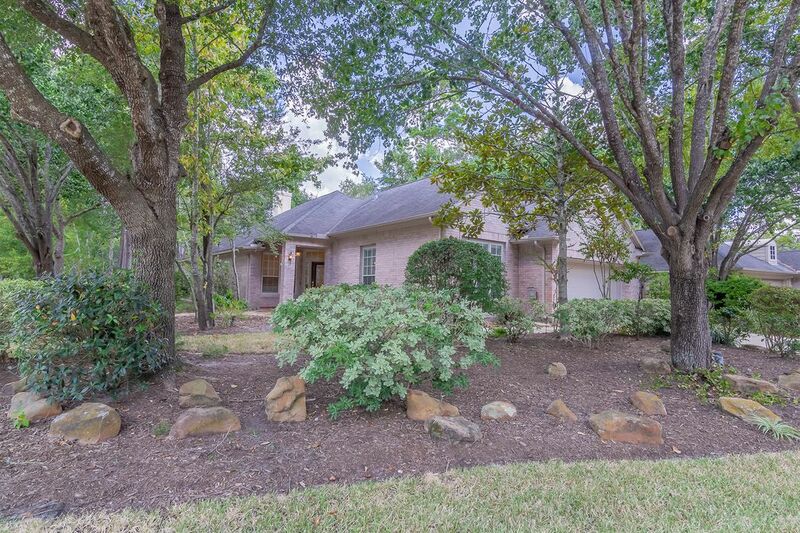 Beautifully landscaped backyard with room for a pool.